After a brief illness with her children, grandchildren and siblings by her side, it is with heavy hearts we announce that our dearly beloved mother, grandmother, great-grandmother, daughter, sister, aunt and friend peacefully passed away into the spirit world on December 1, 2018. Mom was born on November 29th, 1949 in Dauphin River, Manitoba to Bertram and Gertrude Walker. She was raised in Peguis, Manitoba most of her life. She "solely" raised four children with the assistance of her family. While raising her children mom worked as an LPN she then decided to attend university and become a social worker. 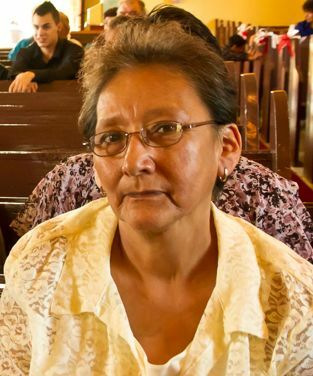 She worked at the Selkirk Friendship Centre where she started up the second hand store moved to Peguis, Manitoba and worked at Percy E. Moore as a social worker. She later become a probation officer and worked with clients from surrounding areas Peguis, Fisher River and Kinonjeoshtegon for many years until her retirement. Mom will be lovingly remembered and missed by her children Clyde, Kelven (Laurie), Jeffrey (Cheryl), Bonnie (Sheldon); stepchildren Randy (Eva), Sheldon, Timothy, Allana; granddaughters Alana (Doug), Courtney, Ariel, Jaide, Olivia and Simone; grandson Hunter; great-grandchildren; mother Gertrude Walker; all her sisters and brothers William Walker (Stella), Joanne Stevenson (Doug); Freda Bear (Barry), Maxine Stevenson (Edgar), Ernest Walker (Marie), Debbie Burka (John), Charmaine McIvor (Jim), Rosa Walker, Dennis Walker (Maureen)and Darryl Walker; brothers-in-laws Neil (Maxine) and Carlyle (Barb); her godchild Lori Stevenson; numerous nieces, nephews and friends. Mom was predeceased by the love of her life Morley Murray; dad Bertram Walker; brother and sister-in-law Moses, Mary Anne O'meara; sister Angela Walker; nephews Edgar Stevenson Jr. and Rodney Walker and niece Desiree Walker. A celebration of her life will take place at 2:00 p.m. on Saturday December 8th at Gilbart Funeral Home in Selkirk, Manitoba with a lunch to follow. Interment will take place at a later date. Urnbearers will be her children Clyde, Kelven, Jeffrey and Bonnie. In lieu of flowers donations can be made in Olgas name to CancerCare Foundation of Manitoba. You were tired, We saw it in your face. The end was coming at a fast pace. your will was not our command. Life just became too hard for you. You had to be where you could fly. Mom, it's so hard to say good-bye. You were ours for all those years. We'll miss you and cry our tears. for we'll be together again someday.